Are You Interested in Attending the 2019 Digital Innovators’ Summit in Berlin? Let Us Know! Magazines Canada is leading a delegation of Canadian magazines to the upcoming Digital Innovators’ Summit, happening in Berlin, Germany, March 25–26, 2019. Are you or a member of your team interested in attending the Summit as part of the Canadian delegation? If so, let us know—please fill out and submit the form below expressing interest for a staff member from your magazine to attend! We are accepting expressions of interest until November 30, 2018. 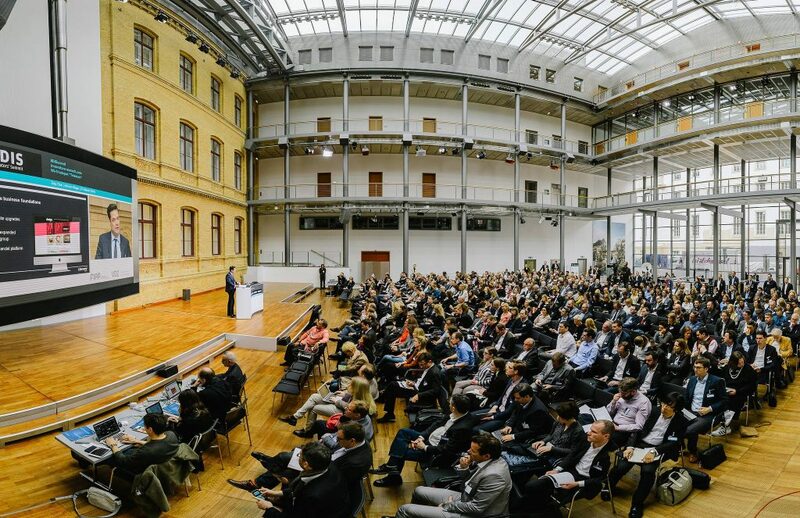 Digital Innovators’ Summit (DIS) is an annual conference in Berlin that is focused on the future of media and technology, where attendees can hear directly from innovators who are driving change in digital media. It is an unparalleled opportunity to network with the over 600 international media leaders from more than 30 countries who attend the annual DIS, alongside 40 international speakers from media, technology and associated industries. The 2019 Summit is scheduled for March 25–26. Find out more at innovators-summit.com. If yes, tell us about them. * Please note: Magazines Canada will contact those who have expressed interest with information about what expenses will be covered by Magazines Canada. Magazines Canada reserves the right to balance the composition of the delegation to reflect the Canadian magazine sector, as well as funder priorities. The delegation will be formed with an eye to broad representation of Canada’s publishing sector and sub-sectors, geography, official languages, and target groups. The Canadian delegation to the 2019 Digital Innovators’ Summit is part of the Magazines Canada Export Program, which supports Canadian magazines in building communities of readership in international markets and exploring new partnership opportunities, by providing financial support for outgoing delegations to international trade events and conferences. Magazines Canada members who participate in delegations will attend presentations and other professional development to help their operations prosper, and meet new platform and service providers, magazine professionals and thought leaders from around the world. For more on planned delegations and program information, please visit magazinescanada.ca/program/export.